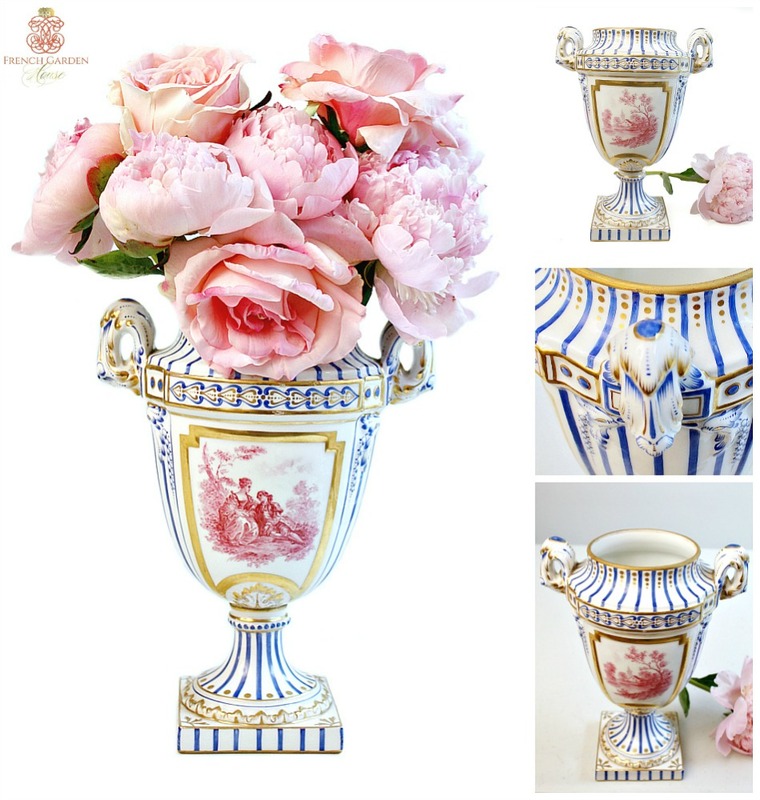 Exceptional in quality, this Antique Sèvres Old Paris Louis XVI Urn has the most exquisite colors of bright French Blue, pristine White, and hand painted tolie cameo scenes on two sides in Pink, or sometimes this is called Sevres Puce. Gorgeous! 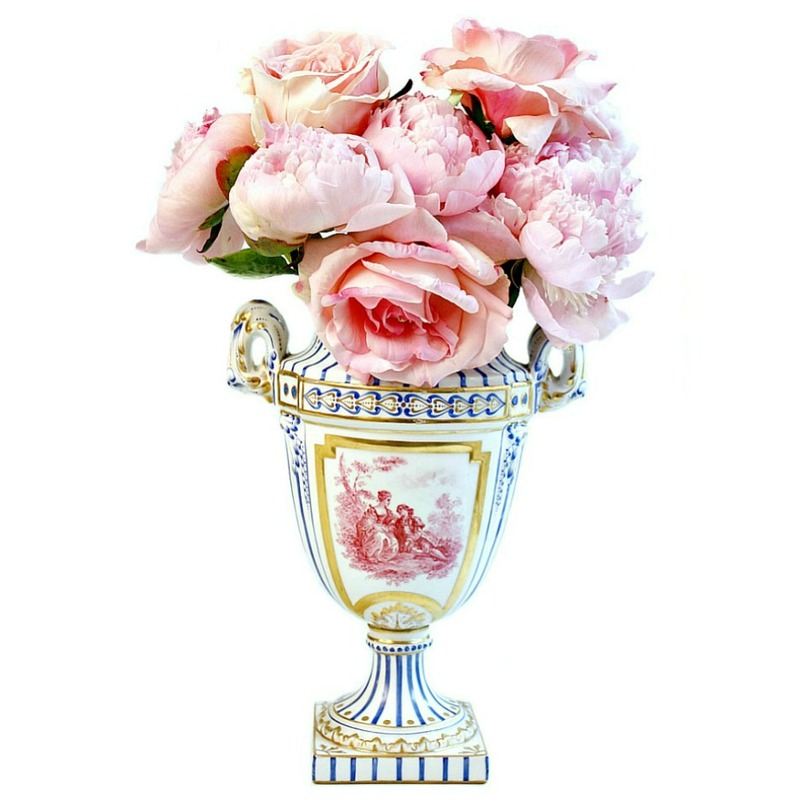 The urn or vase has parcel gilt embellishments and decorations, the two scrolled handles are classical French style, so elegant. 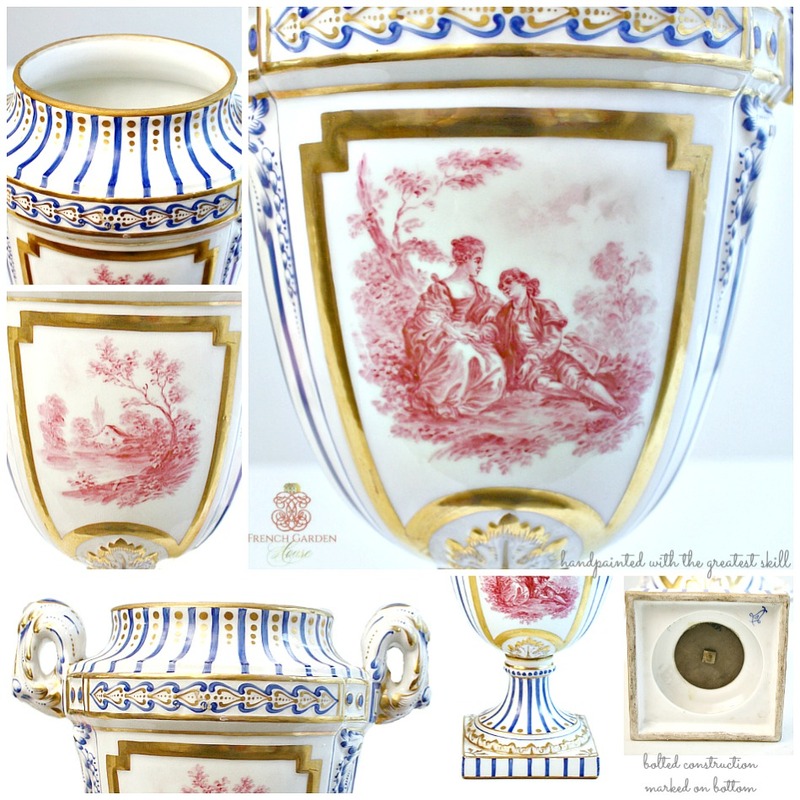 Each side has a different country scene hand painted with amazing skill, one shows a courting couple in a garden setting, the other side features a bucolic countryside scene. 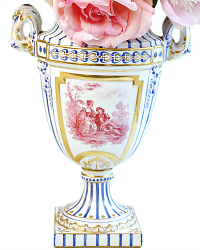 A sublime decorator's piece to focus a room's design on. Marked on the bottom with the blue entwined L's mark and a B. 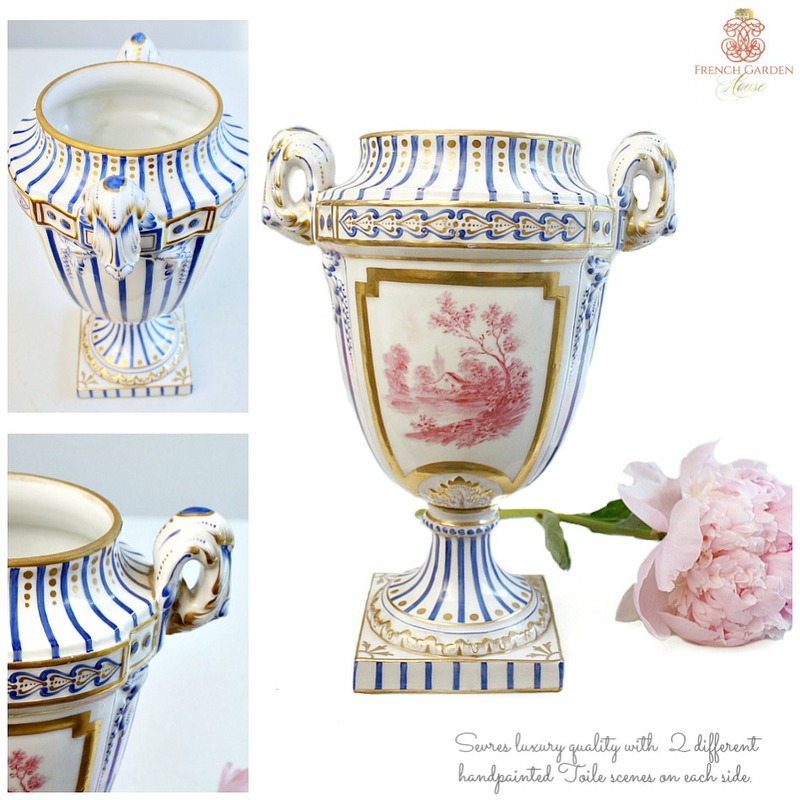 If you adore fine quality French porcelain, this is a luxury addition to any collection. Measures 11" h x 9-1/2" x 7-1/2".